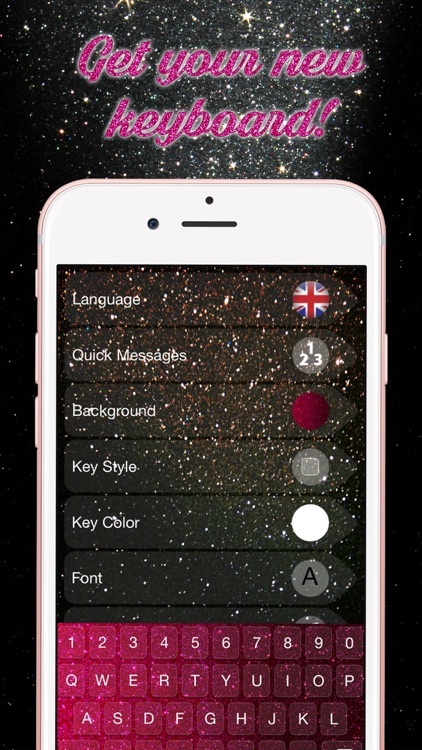 Let your phone shine like a thousand stars! 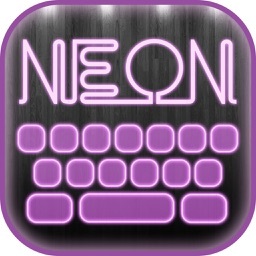 Make your own keyboard in a couple of seconds, completely new and unique. Download Glitter Keyboard Themes – Shiny Custom Keyboard Design with Glowing Backgrounds and new Emoji.s, chose your language and key sounds and enjoy texting and chatting with the people you love, as long as you want. ▶ Best glitter free for massaging! 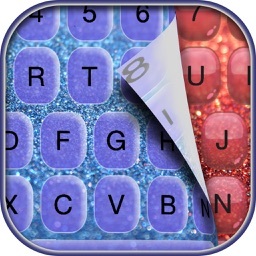 ▶ glitter keypad makes your typing faster and more accurate! 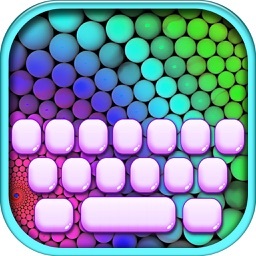 ▶ Different cool texture keyboard skins on your disposal! 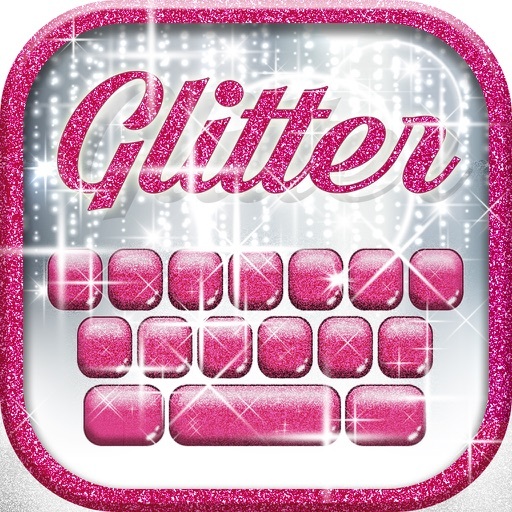 ▶ Now you can customize your fancy keyboard software – select a glitter background theme you like and be sure that your iPhone will look so cute. 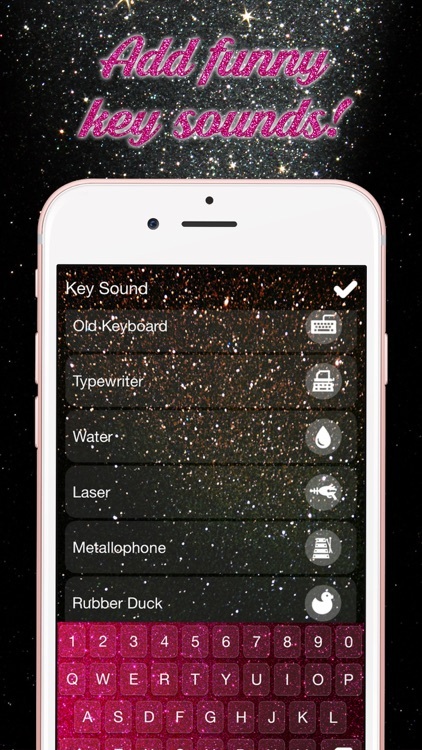 ▶ Check the key color that go perfectly with your new glitter keyboard background! ▶ Get emoji that will make your texting fantastic. Use emoticons to show your feelings and make texting more interesting! A new level of chatting and texting is finally available for you. 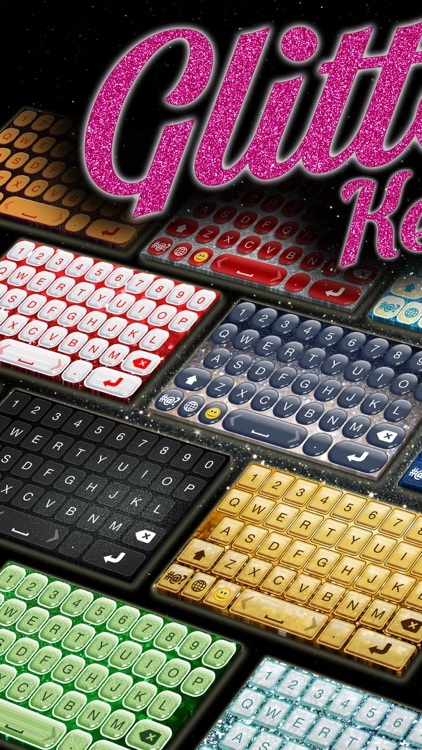 Don't miss this opportunity you download Glitter Keyboard Themes – Shiny Custom Keyboard Design with Glowing Backgrounds and new Emoji.s for free right now. 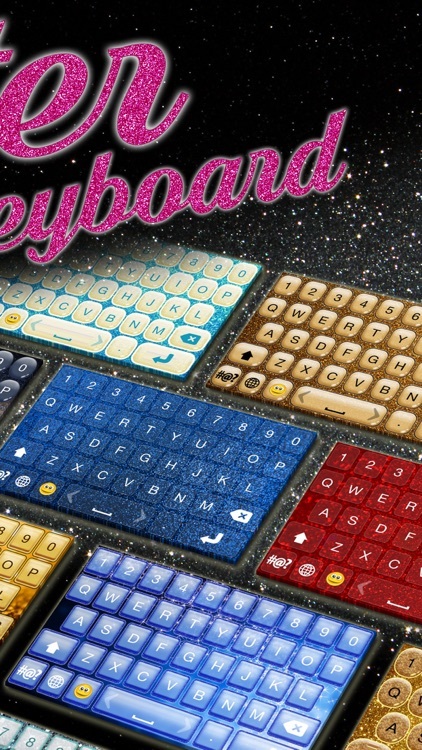 Find your favorite color and style and be sure that you have a fashionable and unique keyboard that will show everybody how awesome you are. 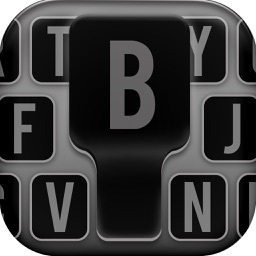 Typing messages has never been more enjoyable, try your new keyboard now and type with love!